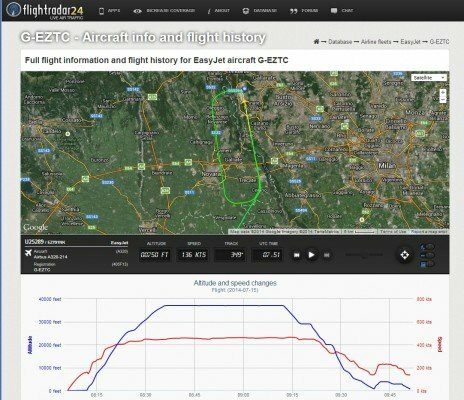 The Italian National Flight Safety Agency (ANSV) started an investigation into a runway incursion incident at Milan-Malpensa Airport in which a Boeing 767 taxied across an active runway, forcing an A320 to perform a go around. On July 15, 2014, American Airlines flight AA206 landed at Milan-Malpensa’s runway 35R about 09:36 hours local time. The aircraft, a Boeing 767-300ER, N366AA, operated a scheduled passenger service from Miami, Florida. At the same time, easyJet flight EZY5289 was approaching runway 35L. The aircraft, an Airbus A320, G-EZTC, operated a scheduled passenger service from London-Gatwick, U.K.
ANSV reported that the Boeing 767 taxied across runway 35L towards the terminal, forcing the air traffic controller to instruct the easyJet flight to perform a go around. The Airbus landed safely at 09:51 after completing a left hand circuit. Earlier this month, ANSV met with met several aviation organisations to discuss the increasing number of reports of runway incursions received in 2013 (+40% compared to 2012). ANSV spoke with representatives of the Italian Air Force, the ENAC (Civil Aviation Authority), the ENAV (ATC authority), Assaeroporti (airports association), ANACNA (association of air traffic controllers) and ANPAC (pilot’s association). Flightradar24 imagery of the A320 landing following a go around.